“I have to be realistic,” my champion wanna-be client confessed to me. She made this comment as we were winding down a coaching session in which I was helping to prepare her for an upcoming big golf championship. She had just won her club championship by a milestone. Hitting the ball the best ever in a long time, her confidence was sky high. For the first time, she was learning to focus on the target and not her swing during competition. The result was a quieter mind and more focused concentration. Fitness-wise, she was very strong, having committed to a regular exercise routine. I could tell that she was now in a position to open up her mind to a whole new possibility—one of winning the national championship she was about to enter. My limiting beliefs are dissolving. I just slayed the field in my club championship. I’m learning how to successfully focus on target and not my swing while in competition. I’m opening up my life to the fullness of experience and enjoyment that is awaiting me. My confidence is sky high. I discovered an effective swing thought that is empowering my swing. The timing is perfect for a peak performance. When we finished with all 25, I had her declare them out loud. The power that came out of her as she read them was remarkable. When done, all I could exclaim was “Praise the Lord!” She agreed, joining me with her own, “Praise the Lord!” We laughed. Now she was in her upcoming championship at the cellular level. All her energy—her mind, her body, her emotions and her spirit—were in “go’ mode. She is now “all in” her championship well before it happens. I further encouraged her to declare her reasons out loud several times a day to get them into her subconscious mind with even more certainty. The coaching conversation itself was a peak performance experience. I, too, left feeling like I was doing what I was created to do—empowering people to tap into their championship mentality—to position themselves to perform from their highest self. I wish to reach more with this empowering training. To learn more, visit jointhechampionsway.com. Reach out to me at veronica@truechampioncoaching.com to set up a strategy session. 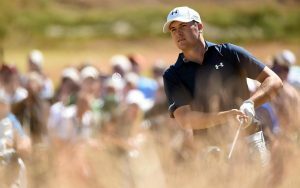 This entry was posted in Athletic Success, Champion Mindsets, Golf, Peak Performance, The Champion Identity and tagged champions, golf, mindset, peak performance, winning on August 27, 2018 by Veronica. Yesterday was an amazing day of watching Tiger Woods almost win. Actually, that is not a true statement. While he did not take home the PGA Championship, Tiger Woods did win big. There’s nothing like seeing a champion make a comeback after debilitating setback in his personal and professional life. Tiger acknowledged his pain. He didn’t deny it, but worked through it. He dealt with it and refused to let it cause him to quit. In his press interview, he mentioned how painful it was—harder than one would imagine—his journey to comeback was. Part of that pain was taking ownership of his present limitation. Since no one had ever swung a club like he did with having a spinal fusion, he had to figure some things out for himself and by himself. If he had run from the pain, he never would have figured it out. Champion Comeback Key #1: Don’t run, hide or deny your pain. Start with your pain and face it straight on. The road to comeback doesn’t happen all at once. He commented that he did not know if he could play golf again. In the time of “not knowing,” it required great patience for him to journey down the road of discovery—and not care what people thought about his “testing and trying,” giving competitive golf a shot again, taking time off, figuring out if he could re-capture his swing speed and game in the midst of his physical challenges. A year ago, he never thought he would be in contention again for not one, but two major championships. Champion Comeback Key #2: Give yourself time and patience as you take steps forward to discover your comeback potential and what you are capable of achieving. About winning the PGA Championship and being in contention, he said numerous times, “I had to try.” He had to try to win. He had to try to shoot a low score. He had to try to see what he was capable of. He had to try to find a swing the final day. I often say to my coaching clients, “You can’t win if you don’t enter.” The biggest win sometimes is just entering. By entering, over and over again, Tiger Woods gave himself a chance to win. Let’s face it. He had every reason to rationalize quitting: “I have enough money and accomplishments. It’s time to focus on raising my kids exclusively. What will people think of me? I need to play it safe and guard my back. If I don’t what I can do, why risk the unknown? It’s too painful and strenuous to try again.” He put himself in a position to win because he chose to “be in pursuit” instead of quitting. Champion Comeback Key #3: Take inspired imperfect action. Get off the couch and be in pursuit. Over and over again, he spoke about perspective: “I’m grateful to be able to play again. I didn’t know if I could….My kids aren’t thinking about my golf. They are thinking about school, so that’s all that I am talking to them about….The positive vibes from the crowd were tremendous.” It was a beautiful sight to see Tiger stop for a moment and acknowledge the crowds on his way to the scoring tent. He got that his energy was fueled by the crowd’s energy. He then went on to hug Brooks for his win. He was hopeful he would play in the Ryder Cup. In both words and humble demeanor, the re-emerging Tiger Woods expressed a holistic viewpoint on competition and life. It was now all in perspective. I often say, “Wholeness is a combination of performance and relationship.” You could see an expression of both from him. Champion Comeback Key #4: Pain and setback will produce a new perspective in you. Capture and live out that healthy viewpoint as you get back on the road to championship. While you may never play in a major championship, you don’t have to remain a spectator in sports or life. Maybe you have experienced a setback in your own life, one that has produced shame, pain, loss, and limitation. That same champion spirit in Tiger Woods, applied to your life, will get you back on the road to championship as well. Why? Because I believe there is a champion in everyone. I believe there is a champion in you! Champions face their pain head on. Champions take full ownership of their condition and patiently engage in the process of incremental discovery over time. Champions never quit. They pursue. They know the only way to get through a failed championship—in life or sports—is to enter another championship. Champions have a holistic perspective on life, sport, and “what it’s all about.” They have a healthy balance of performance and vital relationships. This entry was posted in Athletic Success, Champion Mindsets, Golf, Peak Performance, The Champion Identity and tagged #comeback, #PGA championship, #Tiger Woods on August 13, 2018 by Veronica. On the Road to Championship: The Sting of Subtraction– NOT! I stood in the fairway, mad as hell. Yep, it’s true. I, who rarely experience a “risen anger,” couldn’t hold the emotion back. I was in the middle of a championship qualifier. I wanted to make it–and now I had to to contend with an outside factor that I hadn’t planned on: my caddy giving me wrong yardage. What the #$@#!? It happened numerous times. It’s the last thing I needed in the moment of pressure. A wrong calculation–he subtracted when he should have added. Then I had to do the calculations myself. It made me mad because the last thing I needed to give energy to was to oversee “incorrect calculations.” His inaccuracy led to my anger which led to poor shotmaking–his emotions rose up, too–calm gave way to anger which led to poor shotmaking which gave way to a score 11 shots higher than my previous round. If he had just added instead of subtracted—the result would have contributed to my advancing, rather than to a defeat. The sting of subtracting when you should be adding—that thought hit me hard as I read something that had nothing to do with golf, but how we make decisions about our lives. Many times in the heat of a pressured situation, we decide to subtract instead of add. Many times we are not even conscious of the DIRECTION OF OUR DECISION. We make a decision based on survival, what keeps us safe, rather than on adding which makes us grow. We honor a limiting belief which subtracts us, keeping us stuck, rather than on pursuing a dream, which adds to us. We remain silent in a conflict, which subtracts from our connection, rather than speaking the truth in love, which adds to us. We judge when we should be open. We run when we should stand. We wait to be acted upon rather than acting. We listen to others voices rather than our own–and as a result, we lose when we could win. STOP THE MADNESS!! What are you subtracting from your life that you should be adding/multiplying? What are you losing as a result of the direction of your decision? If you want to move forward, make the kind of choice that will ADD to your life, not SUBTRACT. “There is a word that keeps being illuminated in my spirit for weeks now: MULTIPLY. I kept hearing it as a command from the Holy Spirit: Multiply, multiply, multiply. Multiply means to cause to increase greatly in number or quantity, and in Hebrew means increase, abundance, enlarge, and greatness. “Being a multiplier” is in the very nature of God. Since you are made in His image, you have the ability and capacity inside of you to ADVANCE–to ADD GREATLY—and not to SUBTRACT and DIMINISH. Then I thought about how God must feel when He wants us to make decisions that will advance His agenda and His kingdom in our lives and we don’t take action. He must get angry, just like I did on the course because He wants to succeed in His agenda, but needs you and I to come into alignment with His purposes and to step out and trust Him in the process. If you are in a place wanting to advance your life, step back and consider how you make your decisions. Will that decision and the way you make it ADD to you or SUBTRACT from you. If you will make the decision that will multiply you, you are on the road to championship! You will win! When I was challenged to share my story of my competitive journey, and invite others in to my journey, it was a decision that added to my life. I have been so blessed by the affirmations and validations I received regarding my writing and the inspiration it has brought to others. Even in my defeat, I was added unto, as a result of my own decision. There’s a win awaiting you–just make the decision to ADD–to MULTIPLY. Make it a MULTIPLYING DECISION. It is there you will find the blessing of God! It’s time to say good-bye to shrinking thinking–and WIN! This entry was posted in Champion Mindsets, Golf, Peak Performance, The Champion Identity on June 30, 2018 by Veronica. Champions stand out by their ability to hit shots under pressure with ease and calm. How can you see if you are in the champion zone? There’s only one way. You have to test yourself. Not everyone will put himself to the test. Testing creates pressure. Pressure reveals where you stand on the champ-o-meter scale. Last week I decided to test myself. I entered a tournament that was bigger than my current state of play. I knew it. I did it anyway. It was an intentional choice. Why? I wanted to test myself to see where I stood in my training for my big championship down the road. I could have waited until I was more fully prepared. I chose a different strategy. I decided to test myself to see what I needed to do to prepare. The pressure in the test would reveal those things to me. My test revealed four things: a champion spirit, a champion character, a childhood wound, and a backslidden golf swing–the good, the bad, and the ugly. Because a tournament places a demand on every part of my being, every part of my being revealed itself. From what was hidden even to myself to what was obvious, I located myself. Now I know what I need to work on to fully engage for my upcoming championship. My backslidden golf swing was a result of changing the pacing of my swing. When I reverted back to a slower pace, my new swing appeared the very next day. Lesson: perfect my pacing under pressure. The childhood wound was addressed by an opportunity to give to others the very thing I did not receive myself. Lesson: impart more of what I gained from that experience to others. Those lessons go beyond my head. They reach a cellular level. When your preparations reach a cellular level, you are on the road to championship. One of the reasons King David was a champion was that he invited testing. While a king, a warrior, a worshipper, and a man after God’s heart, he wasn’t afraid to be tested. “Test me, O Lord, and try me, examine my heart and my mind, for your love is ever before me, and I walk continually in your truth” (Psalm 26:2). What comes out of you when you are tested? What does pressure produce in you? Do you remain the calm and relaxed person under pressure as you are without the pressure? Who do you become? If you are the same person—hitting your shots under pressure with calm and ease, welcome to the champion zone. If not, examine what the pressure reveals to you and work on your game along with me. This entry was posted in Athletic Success, Champion Mindsets, Golf, Peak Performance, Relationships, The Champion Identity on February 13, 2018 by Veronica. Today was a day of things disappearing! I fully prepared everything I needed to play the first day of my mini-tour event until I stepped up to the first tee. I realized that I left my range finder somewhere on the driving range of another golf course! I had to walk all the yardages off old school—which were not as accurate, especially into the wind, as my range finder is! Then my swing disappeared! I wanted to use this tournament to “locate myself” with all the new swing changes I have been making. I wanted to know how it would hold up under pressure. My swing was great on the practice tee, but the young tweety-birds I was playing with hit the ball hard and fast. In order for me to hit it well, I have to hit it hard and slow. Fortunately, I was able to discern how to recapture my “disappearing swing,” and hit it great again on the practice tee after my round. I will do better tomorrow because now I know better. During the course of my round, I then hit a shot in a sand trap. No matter how much we looked for it, we could not find it. There was not even a trace of where it went into the trap. It just disappeared! Yikes! The biggest disappearance was the professional atmosphere which I invested $600 in to enjoy in this event. One of the girls’ father was caddying for her and thought this was a good day to interject his rather boisterous comments into the round, disturbing my play, and turning a professional experience into a strange kind of social one. I had to stop numerous times to address the fly in the ointment. In the midst of a day of disappearances, a few things appeared and rather noticeably at that. Upon learning that my goal was to play in this year’s Senior Women’s U.S. Open, my playing partner spoke something beautiful and totally sincere into my life. In a moment of reflection and clarity, she said, “I can see you playing in that.” She saw the champion in me and spoke to it. I can’t begin to tell you how much that meant to me in the middle of shooting a round in the “not so low eighties”! The father of the other player came marching over to me after the round exclaiming, “You are one class act. The way you handled the other father was truly impressive.” I was stunned–and blessed that he saw something standout in me despite my poor score. While my range finder, lost ball in in the sand, professional atmosphere and swing disappeared, I was blessed with the evidence of my character and champion spirit showing up in full display. Capturing that inner win–along with the re-appearance of my swing after the round—gave me a reassurance that tomorrow will be better–and hopefully, a lower score will appear as well! This entry was posted in Athletic Success, Champion Mindsets, Golf, Peak Performance, The Champion Identity on February 5, 2018 by Veronica. Join us for an unforgettable golf-discovery weekend in Myrtle Beach! Designed for busy women professionals who want to learn golf in an intensive weekend and tee it up with confidence from the start! Each Morning: 9 am – 1 pm Golf School (Fri., Sat., Sun.) Each Afternoon: 2 to 5 pm: On Course Play on 3 different courses Sunday afternoon 9 Hole Team Competition Optional evening sista-hood! This is a small group intensive and fun golf advancement program with Master Peak Performance Coach and Golf Professional, Veronica Karaman. You will receive WORLD CLASS INSTRUCTION with maximum individual attention in a small group learning environment. Maximum student-teacher ratio 6 to 1. 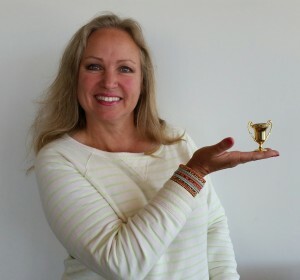 Veronica Karaman is the founder of True Champion Coaching. 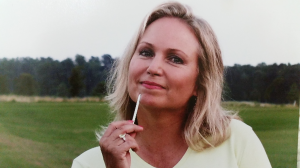 An elite performance coach and golf professional for over 25 years, Veronica’s passion is to empower people to maximize their potential and release the champion within to achieve results beyond their expectations in golf, personal leadership, and life goals. Register today. This school will fill up fast! *Most 3 day golf schools at a resort begin at a few thousand dollars. Our morning school will be held at Barefoot Resort. Afternoon at 2 different par 3 courses, and then the 9 hole culminating play at River Oaks Golf Course. Veronica is a great motivational speaker. Gerry S.
Thank you so much for all your help with the golf lessons that I have taken from you during the past two months. Over the years, I have struggled to learn to play the game which I realize may be an unusual thing to say since I’ve worked in the golf business for more than 25 years. You are the first instructor who has helped me understand that I don’t need to “perfect” everything at once; instead, I need to concentrate on learning one thing in each lesson and working on that one thing. In the past, I believe I was overloaded at times by instructors, cramming too many thoughts into one session, so that I could hardly remember what to do after the instruction session was over. I also appreciate the way you make each instruction session fun – golf should definitely be enjoyed, and you set the example by the way you instruct. In the future when I have the opportunity to play the U.S. Women’s Open courses on site visits, I’ll not be so reticent and will believe I can do it without embarrassing myself or the USGA. Most everyone always assumes I have a low handicap due to my position as USGA Director of U.S. Women’s Open Championships even though it’s definitely not necessary for my job. Although I may never become a low handicap golfer, at least now, I feel I am becoming better equipped to play golf. I truly appreciate your instruction and encouragement. I know whatever path you may take, you’ll be successful. 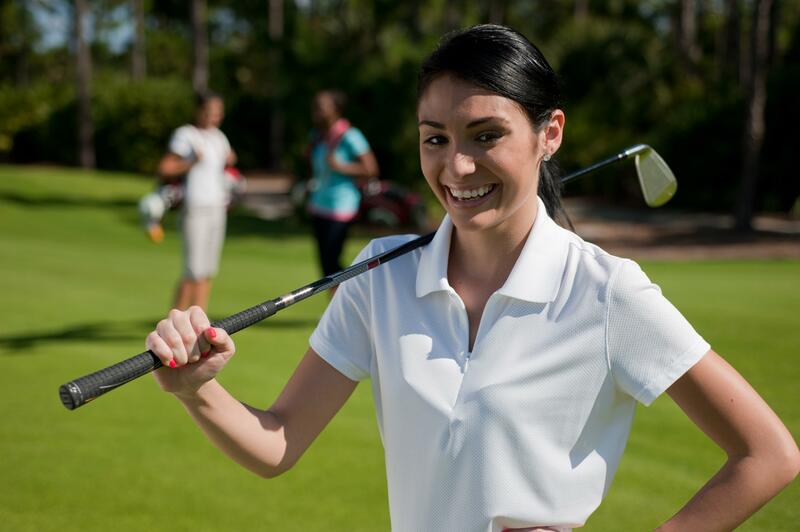 You are a gifted golf instructor who I believe has a special knack for working with women – you make learning the game understandable, and you are an encourager. This entry was posted in Golf, Peak Performance, The Champion Identity on September 13, 2017 by Veronica. As I sit here and write this update, I am caught up in the presence of God. There is nothing like worship, right in the middle of the day, to bring life, empowerment, and a fully engaged preparation to playing your best game, on or off the course—right here, right now. I am in the midst of preparing for the Florida Senior Women’s Open Championship, which is taking place this Friday, Saturday, and Sunday at Reunion Resort in Kissimmee, Florida. 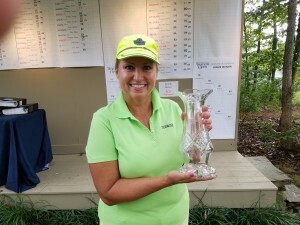 I am convinced it was the spontaneous worship I entered into the last day of the Tennessee Senior Women’s Open that equipped me to win the championship by a resounding 13 shots. In sports performance there is a term called “Ideal Performance State,” that is, I.P.S. It is an emotional-mental state an athlete creates for herself that enables her to play at peak performance. I am fascinated by the exploration of worship as it relates to competition, winning, and performance. Many years ago, I had a conversation with Bob Rotella, one of the fathers of sports psychology. He brought to light the mind-body connection in sports. In our conversation, I brought to light that we are not only two part beings—mind and body, but three part beings: spirit, mind, and body. He dismissed my thought as irrelevant. However, I knew it to be true. If spirit is a dimension to who we are, then to fully perform, we must necessarily engage the FULLNESS of who we are, all three dimensions. I just didn’t know how at the time. I do now. What I do know is that when we worship, our spirit-man envelopes our soulish man. 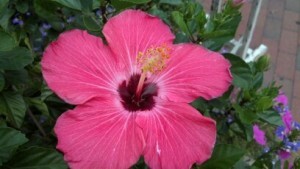 Our mind, will and emotions become absorbed by the realm of the Spirit. My spirit, little ‘s’, becomes swallowed up in the big “S”, the realm of the Holy Spirit. I know this to be true because there wasn’t even one negative thought to contend with as I took my focus off of myself and onto the Lord. My mind was clear. My emotions were calm. My spirit was free and at peace. What was most remarkable was the duration of my I.P.S. It lasted the entire round, through all day rain. As I reflect on that experience, I realize that what we have not apprehended is how to take worship out of the church and into the realm of work, performance, and achievement as MODUS OPERENDI. What he is saying is “when we worship God wherever—in the boardroom, the classroom, the living room, or in the fairway–God shows up in the atmosphere and transforms it!” He creates an Ideal Performance State for us as we worship Him! Halleluiah! It was important for me to express these thoughts because I am asking for your prayers to GO DEEPER into this realm of “swinging unto thee” this week as I enter the final competition of my little tour for now. I want to experience this realm again and again and again! 1. Continue to dive into my Spirit-inspired curiosity about integrating winning and worship. 2. Put my body, mind, and spirit in a position to win. Yes, I do want to win again! 3.Learn the golf courses well. There are two of them. Both resort-ish and totally uninspiring. 4.The one course looks like it has a bad case of the mumps. Stupid undulations all over the place. I think someone from Disney World must had designed these courses. Wed. is another practice round on the Palmer course. 5. Really enjoy myself! 6.Be a bright light to others. Application: Join me in my curiosity. Take some time out –even if it is in the middle of the day –and worship God for 15 minutes. Observe the result. Let me know what happened! This entry was posted in Athletic Success, Champion Mindsets, Golf, Peak Performance, The Champion Identity on August 8, 2017 by Veronica. My reflections on creating an Ideal Performance State through worship from my recent tournament victory. I hope this encourages you and informs you. If you have not heard by now, I won the Tennessee Senior Women’s Open by a resounding 13 shots! I played brilliantly, if I don’t mind saying so, shooting an even par 72 in very rainy conditions all day long. Today I visited a new friend’s church in Raleigh whom I met while at The Messenger Cup in Colorado Springs two weeks ago, Pastor Lynton Turkington. He honored me in front of the entire church, telling of how we met and how I was an answer to his prayer for help with his chipping that day! He had me stand up and lift my trophy before the entire congregation who cheered me on and shared in my victory! That was so great—to bring my victory into the Body of Christ and make it theirs as well as mine! Friday morning I spent an extensive time in worship, singing the anointed song, “I’m no longer a slave to fear. I am a child of God.” Somehow those words got deep into my spirit. I decided to play as a CHILD OF GOD = NO FEAR. The day before I was a bit tentative in my “in-between” shots. I decided to play FULL OUT = NO FEAR. We worship God when we play out of our true IDENTITY in Christ. Something happened to solidify my Ideal Performance State by doing so. I so nurtured my spirit that I almost forgot I had a tournament that day! In a worldly system, you can only combat fear mentally with another thought or mental trigger. When you go deeper and FEED YOUR SPIRIT, that deeper feeding NATURALLY soaks up the negativity. I HAD NO NEGATIVE THOUGHTS the entire day. NONE. While I was in my zone, I forgot what hole I was on and only vaguely knew my score. My mind was SO CLEAR, and what I do remember is a STRONG AVERSION TO NEGATIVITY and CLARITY ABOUT NOT SETTING UP ANY RESISTANCE in my mind. For instance, after 9 holes, I was only 2 up on my playing partner. I was feeling the heat of competition. On the back nine, she started complaining about “how miserable the weather was and how she had had enough of it.” She was setting up a resistance in her mind and that began her downfall. My lead widened. I refused to set up any resistance. I welcomed the rain, accepted it, dealt with it, was patient with it, and just made it part of my game. I used the weather conditions to my advantage—and remember someone praying that I would do just that. I relished the competition. Although I was not afraid, I could tell I was a bit nervous as my rangefinder was a bit shaky as I worked on determining my yardage. I was not aware of this until tried to steady the thing on the flag. I was okay with that. I knew from the day before when I felt TOTAL VICTORY in my SPIRIT that I was going to win. There was NO waver in my knowing. I knew there had to be an outward expression of my state of total victory. My playing partners were not contratulatory. I noticed it, but it did not affect me. I REALLY ENJOYED THE EXPERIENCE OF WINNING. IT WAS SO MUCH FUN. The joy of receiving the trophy lasted about 2 seconds. What was so much fun and what GAVE ME JOY was all the hundreds of well-wishes on Facebook. I had this on-line GALLERY cheering me on—from people from way back in my past to my present from people I knew well to people I don’t know at all. That was so much fun! So many people said to me, “Your victory was my victory. I experienced it, too.” When you worship, you play WITH AN OPEN HEART. Golf is so independent and INWARD. I broke the realm open to including anyone who wanted to be a part of my championship. A shared victory in the spirit. Worship means I compete from a still spirit. I had more stamina than others my age who played because of the secret nutrition I use to give me energy all the way around as well as my recovery practices. I played from a place of rest. The greatest joy was receiving testimonies from others of how my “competing by faith” inspired their lives. My mission in life is transformation and it was so beautiful to see how my golf is helping other people grow closer to God! Praise the Lord! This entry was posted in Athletic Success, Champion Mindsets, Golf, Peak Performance, The Champion Identity on August 2, 2017 by Veronica. Most of you know, but some don’t: I am leading the Tennessee Women’s Senior Open by 3 shots! I am into this tournament with a desire to win and a deep curiosity about how to worship God more deeply on the golf course and in competition. I knew I was in a better place to score because I was coming off of competition last week and my MIND was already in the game. I was determined to be more consistent in my shot-making and made that a non-negotiable in my MIND AND HEART. I already knew the course, so I didn’t feel like I was in any place of striving. I wanted to ABIDE. A few weeks ago in church, a visiting preacher prayed over me. In his prayer he affirmed the reality of golf for me: “God, golf is no longer the prize for Veronica, but a platform.” His words were so true. I am so freed from the need for golf to validate anything for me that I can now be free to express that VICTORY OF FREEDOM through my game. I no longer have an EGO attachment to my performance. I have released all outcomes to God, but that only frees me to do better! When you worship God, you claim your authority. This never happened before, but she put a fan on the cart. (What??) The noise was so distracting and I thought, “This is a tournament. What is this?) Normally I would just be nice and allow the thing to bug me, but not this time, “I’m sorry, but that noise is very distracting. Can you turn that off?” I realized I was taking ownership of my space and not bowing to someone else’s infringement on my ideal performance state. When you worship God, you keep an open heart. I was so free to converse with her, and even after the round, minister to her, as she shot a really high score. “Listen, a champion defines success from the start. Sometimes winning is just entering. You did something that was far outside your comfort zone. You showed up to play in a higher level tournament than you have ever done. WELL DONE! You ENTERED!” She looked at me like I was from another planet. That kind of mentality never entered her mind before, and she thanked me. When you worship God, you keep your composure of peace and stillness of heart. For the first time in my life, I was reprimanded for playing TOO FAST! The greenskeeper came over to us and said since we were the first ones out, we were encroaching upon the guys who were mowing the lawns on the holes ahead of us. We had to SLOW DOWN. It disrupted my pace and momentum, causing me to have a few higher scores on those holes, but then I told myself, “just keep your STEADY COMPOSURE and CALM CONCENTRATION” which is what worship produces. When you worship God, you can be fearless in your shots. This morning I began my day with worship. I was meditating on Brent Taylor’s song, “I’m no longer a slave to fear. I am a child of God.” Because of my IDENTITY IN CHRIST, I am set free from ALL FEAR. That truth sunk deeper into my spirit. There were some shots yesterday, particularly the ones were I was in-between clubs, that I sensed I was a bit tentative. NOT TODAY. Today I will play full out. NO FEAR….because…I AM A CHILD OF GOD! When you worship God, winning is FUN. I had so MUCH FUN being at the top. It was a NEW EXPERIENCE for me in this season—I’ve worked so hard and it’s nice to begin to see a RESULT OF MY FAITH and PREPARATION. When you worship God, you bring PRAYER into your atmosphere. During my practice round, I was praying for people and people were calling for prayer. Something punctured in the atmosphere on the golf course. I can’t describe it, but I went into another realm of freedom and experience of His presence. When you worship God, you give Him space to display His power and presence in you and guess what? GOD ONLY PLAYS TO WIN. It’s in His blood, so it is in MY BLOOD. 1 Cor. 9:24-26. When you worship God, you are free to FULLY EXPRESS yourself, and leave the OUTCOME to Him. 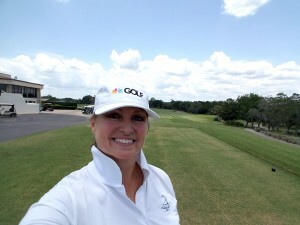 Yesterday I had such a wonderful time after my round NOT PRACTICING too much, just working on my short chip shots around the green, hitting shots out of that wiring grass—and then heading to the fitness center to SWIM and hit the Jacuzzi. It was so wonderful to feel the ATHLETE in me BE HAPPY she was COMING OUT—and COMING OUT STRONG!! When you worship God, you are not afraid to include others. It was so much FUN to share on facebook and receive hundreds of well wishes from folks. It was like an on-line gallery. People love to connect to victory, so let’s create MORE OF IT! When you worship God, your mind thinks clearly. I made a lot of great decisions out there because I was in a place of peace and calm. I could see clearly. When you worship God, you invite community to be a part of it. I could feel the prayers of people because I asked for them and invited others into my championship. When you worship God, He finds pleasure in your ALL OUT PURSUIT and ALL OUT EXPRESSION of WHO YOU ARE! I am releasing all of me this week—athlete, competitor, writer, friend, minister, motivator, businesswoman (she’s still emerging! ), coach and DAUGHTER OF GOD. TODAY I AM GOING TO PLAY AS A DAUGHTER OF GOD, as UNTO MY FATHER WHO LOVES GOLF AND ME. Please pray for ALL my drives to land in the fairway. A connected-swing. Please pray for clarity of thinking, great decision-making, and for the putts to drop!! A strong start—and finish! In just 18 days, I will be playing in the Women’s U.S. Open Qualifying tournament. It will be a daunting task as I will have to play 36 holes in one day in grueling heat. Today I played in a practice round at Sugar Mill Country Club where the tournament is taking place. It was a beautiful course, well-manicured and decorated with beautiful flowers. I always love playing a course that is inspiring. It is worth the investment of time, talent, and resources just to have a world class experience on a world class golf course. The real highlight of my high challenge, however, is not the dream of playing in the world’s most prestigious golf tournament. For me it would be the second time around to do so. Rather, it is the pursuit of calling yourself up higher. Today I realized that on this test of golf, I would have to call up my highest self —the champion within— to score big on this course. As I teed it up hole after hole, the answer came to me. “I am going to play FULL OUT every shot for 36 holes. This is going to require AN AGGRESSIVE TRUST IN MY SWING.” “Aggressive trust,” I said to myself. “I have never said those words before.” What is an aggressive trust? Webster’s Dictionary defines aggressive as “marked by a driving force of energy or initiative.” “Trust” is defined as “assured reliance on the character, ability, strength, or truth of someone or something. One in which confidence is placed.” In other words, I would have to play each shot with a strong force of energy with an assured reliance in the integrity of my swing. Get that? MY swing. My swing has been the focus of so much lack of confidence, breakdown, insecurity, and lack of trust. Do you know how long I have made a concerted effort to find the power in my swing where I could have a consistent, repetitive swing? Most of my golf life. Uhh…that’s over 40 years. More recently, a concerted diligent effort to end my golf swing misery—a dedicated effort of over 5 years to banish my swing faults. About a year ago, I found a really great teacher who helped a lot. I saw a lot of promise in my swing. The problem is, I am currently in Florida and he is in North Carolina. With just a few weeks to my big competition, I had to find a swing-thought that worked for myself. Did you hear that? I had to work it out on my own. I had to OWN my swing in order to find the solution. I did. As I grew in my new-found confidence in my swing move, I am still honing it out. However, today, I had to let go of “playing it safe,” trust the work I have done on my swing, and just RIP IT. I had to. I had to TRUST MYSELF IN AN AGGRESSIVE WAY. You know what? It worked. It was a non-conscious move to consciously trust my game. It was the ONLY way I knew I was going to have a chance. Each shot would need to be an all-out shot. As I left the course, thinking about the STATE OF PLAY that my championship chances would require of me, I thought about the Body of Christ. Yep. I thought about where God is wanting to take His people, how it is a SEASON OF ENTERING into the fullness of your calling. I thought about how there is only one way to fully enter something—all out—with an AGGRESSIVE TRUST. A wonderful friend called me tonight asking for my feedback on an executive situation in her business. One of her top companies which produces the most income for her is not meeting her standards of integrity. She asked me what she should do. I asked her to consider not seeing the situation as a threat which only evokes negative emotions of fear, anxiety, and worry, which she admitted to having. Rather, I challenged her to see the situation as a challenge which evokes positive emotions. “What would happen if you went into that conversation you are going to have with your client FROM a place of AGGRESSIVE TRUST in yourself? What if you decide to approach that conflict from the deepest place of your own integrity—not to run, but to call them up higher. What if you didn’t move off of who you are but through being who you are, address the situation and then let the chips fall where they may? It all starts with how you see yourself. Do you aggressively trust yourself?” She got the point, was inspired, and left the call determined to swing into her meeting with an AGGRESSIVE TRUST in herself. If we are going to fully enter into our calling in this season, we must call ourselves up higher, not to just trust in God. In this season, God is calling us to aggressively trust in ourselves, take the swing full force, and leave the outcome to Him. You see, everyone has a championship. God wants YOU TO PLAY IN SUCH A WAY AS TO WIN yours. The chances of my qualifying are slim in the natural. I have learned to play FROM victory, however. In my upcoming championship test, I have already won despite whatever score I shoot. I have tapped into my full out pursuit and potential. Try it. Go through your day today from a place of AGGRESSIVE TRUST in yourself. It’s time for you to play to win—and win! This entry was posted in Athletic Success, Champion Mindsets, Golf, Peak Performance, The Champion Identity on May 22, 2017 by Veronica.